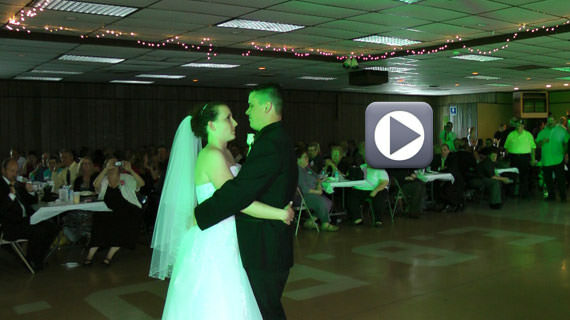 On Saturday May 12th 2012 we were at the East Butler Fire Hall in East Butler Pennsylvania. The event was a wedding reception for Adam and Fallon Franz. Adam and Fallon were married at St. Wendelin Roman Catholic Church in Butler at 2:00 pm. Guests began arriving at the East Butler Fire Hall around 4:30 pm where they enjoyed cocktails and appetizers as the bridal party posed for photos with Jeff Hartzell of Jeff Hartzell Photography. The wedding reception for Adam and Fallon continued until 10:00 pm.